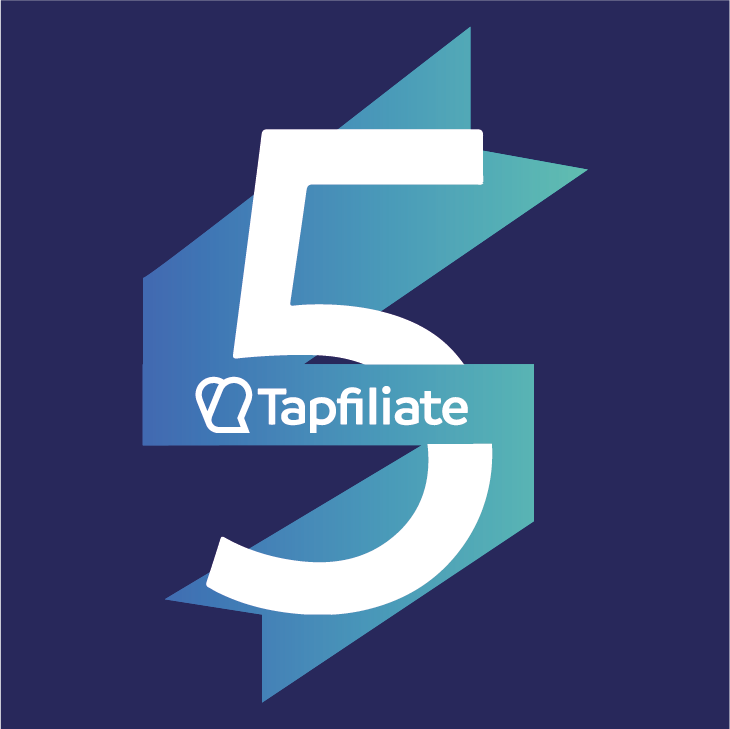 This month we are celebrating Tapfiliate’s 5th Anniversary! Founded by Thomas van der Kleij in 2014, our company emerged from a simple, straightforward concept - provide a more pleasant, organic online experience by putting the human touch back into advertising. Throughout the past five years, Tapfiliate has grown to encompass a global, far-reaching community of advertisers, content creators and consumers. From Thailand to the United States, Australia to our home in the Netherlands - Tapfiliate now has users spread across 181 countries. In addition to the geographical diversity, we are proud to provide features that can meet the interests for a wide range of companies, sectors and industries seeking to use affiliate marketing. We’re very proud to say that To date, we average a 100% year-over-year growth. The past five years are a culmination of our philosophy being put into action. Our philosophy is best characterized by the Japanese word kaizen, meaning “change for better”. We’re always improving, we’re always growing. “In my personal life, I focus on growth and I want to create an environment for our company that shares that same focus.” said Thomas when reflecting on our office culture. And from this continuous growth, there’s been a number of notable moments over the past five years that we are fortunate to look back on. We’ve seen these moments transpire in many ways - whether it be our founder Thomas building a beta platform in a few short months or the pure joy and excitement of breaking in a new Fußbal table at our office in the heart of Amsterdam. Moving forward, we plan to keep the hard-working mentality that brought us to this five-year milestone. Our company will stick to improving our platform and bringing an exceptional level of service to our users. At Tapfiliate, we’re always seeking for ways to improve our platform, and sometimes that takes us down some pretty awesome paths! 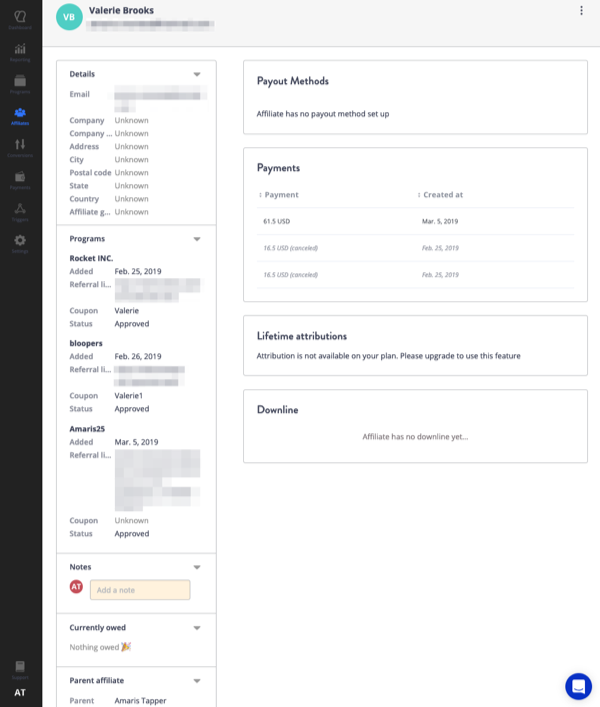 After weeks of brainstorming and improving on our original ideas, we’re happy to announce the launch of our brand-new Payments Page! 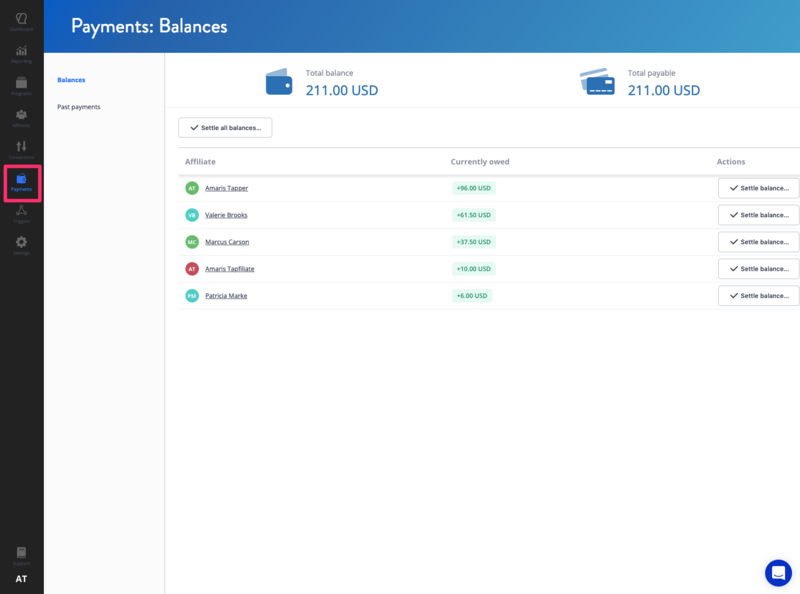 With our new Payments page, you catch a glimpse of your total Balance, as well as the amounts Payable at the top of your page. To make things easier, settling balances will be a one-step process. All amounts payable are already aggregated for you, and all that’s left to do is Settle the balances. This can be done for all balances, as well as for a specific affiliate, right from the comfort of your Payments page! Also, you can set your payment threshold right when you’re generating your Payment file. Just set the amount in the box, and only the affiliates that meet the minimum payment amount are included in the file. This will also conveniently state the amount you’ll pay with that file. We’ve also made major improvements to the affiliate profiles! Now all the information you need about commissions, setting parent-child relationships, and the affiliate’s payout method, is very neatly displayed on one page. Why am I not seeing these changes? To ensure that our existing user get the best experience possible, we’re first testing these changes with new and incoming users. Soon we’ll invite our existing users to migrate to the new Payments Page, which will also “unlock” the revamped affiliate profile. So hang in tight! You’ll receive an email when you can migrate! As one of Tapfiliate’s fabulous Customer Support Specialists, Amaris strives to empower clients seeking to unleash the true power of Tapfiliate’s cutting-edge marketing technology. In a not-so-distant past life, she was a dedicated literary scholar specializing in environmental humanities and philosophies of relationality, as well as a French language tutor. Amaris adores green/sustainability initiatives, board games, cooking, and has a very soft spot for cute animal GIFs. Search Function Updates: Filter by Coupon, Referral Code and Source! We’ve received a lot of feeback about how to make our Affiliates Overview work better for our users. 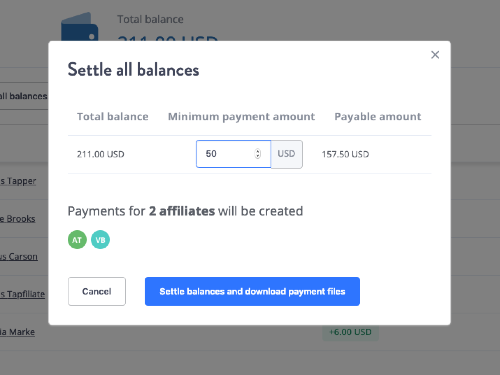 With this small but mighty update, we hope to cater to one of the most popular requests: to be able to filter affiliates by coupon, referral code, and source! If you have a coupon code and aren’t sure who it links to, you can find the affiliate by using this nifty and new feature! All you have to do is add filter to your next affiliate search. Do you have any suggestions on how to make our platform better? We’d love to hear it! Drop us a line! Feature Update: Lo and behold, Affiliate Groups! We’re very happy to introduce one of our most requested features: Affiliate groups! This will allow you to reward certain affiliates with different commission rates within the same program. In your Affiliates Overview, you can now easily create a group or add affiliates to an existing one. All you have to do is check the box in front of the affiliate’s name. 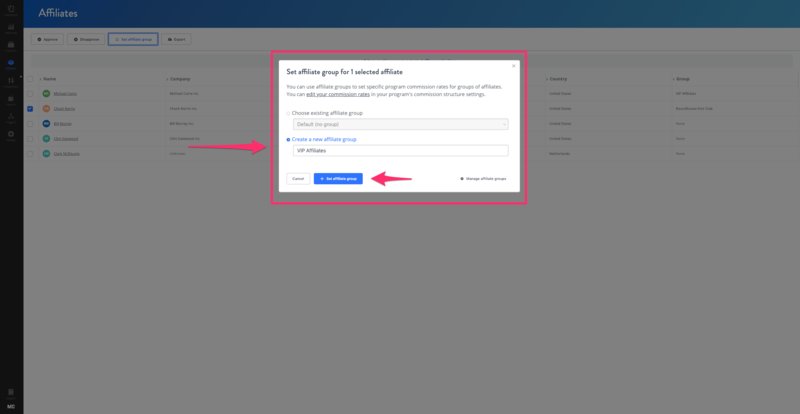 This opens an option to set an affiliate group near the top. 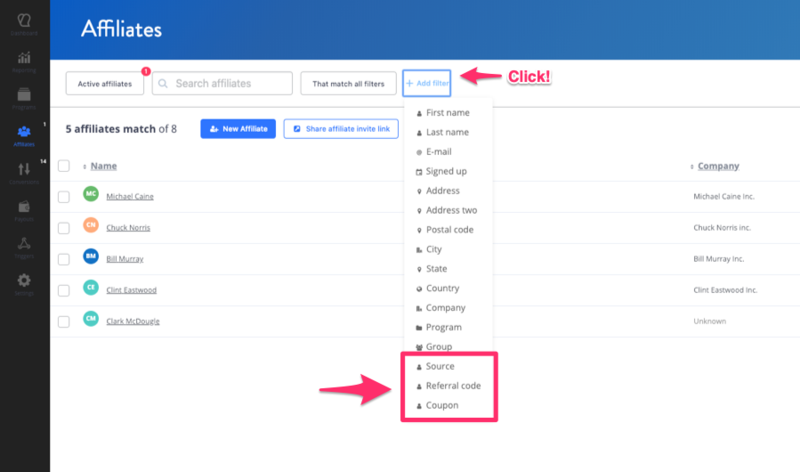 When you click, you will have to pick from one of two options: Either add your affiliate to an existing group or create a new one! Our new Affiliate groups feature will sweep in to grant our users one of their most prominent requests: the ability to create special commission rates for those special groups of affiliates. This is how you do it! 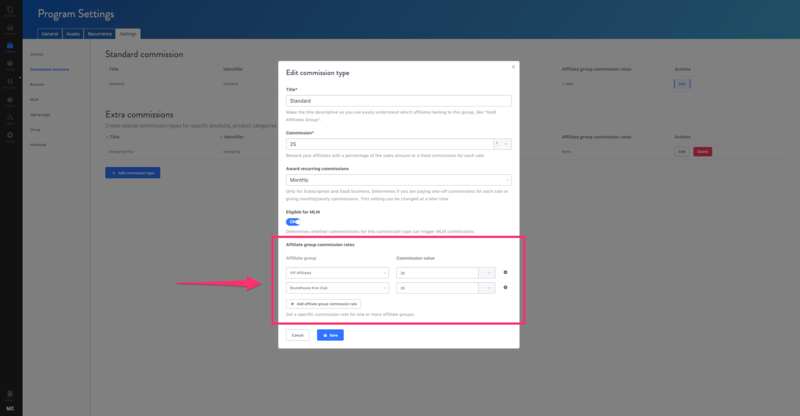 To set new commission rates for an affiliate group, just head on over to your Program > Settings > Commission Structure. You can set a different commission rate for a group by doing one of two things: either by adding new commission rates to your standard commission setting, or (if you’re looking to create more specific commissions) by heading over to the new section section titled Extra Commissions. Whichever one you choose, you will be able to add special commission rates that are applicable to a specific Affiliate group. And in the case of multiple affiliate groups, you will be able to give each group a specific commission rate. Let us know what you think about these new features. We’d love to hear your feedback! 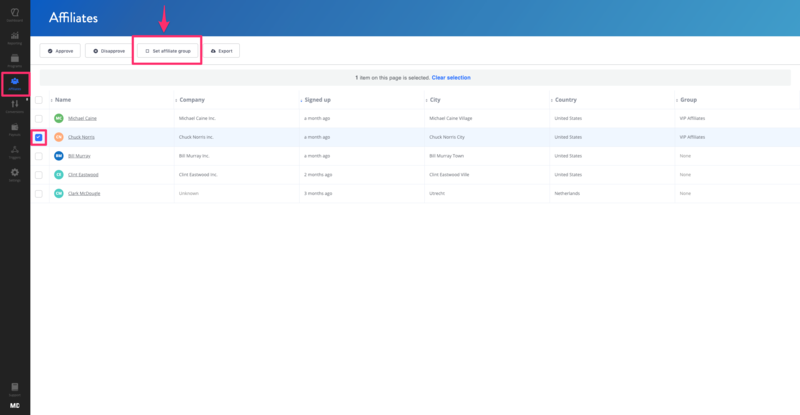 Feature Update: Batch Manage your affiliates, let's get excited! 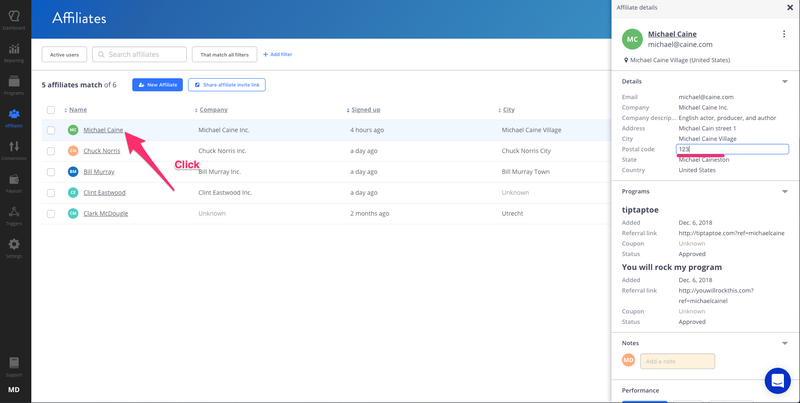 We made some cool changes to our platform! Save yourself time going back and forth with the affiliates overview. We improved this feature to make alterations to affiliate accounts easier for everyone. Batch manage your affiliates on just one page! Easily add or import multiple affiliates in one go to your affiliate program by checking the box in front of the affiliate’s name. This also allows you to approve or disapprove the affiliate and export affiliate data to a .CSV document. What about your affiliate info? Simply click on your affiliate’s name and a panel will appear on the right side of your screen. You can also make changes to the affiliate details manually (see screenshot). You can easily delete your affiliate by clicking on the three dots behind the affiliate’s name. The delete-affiliate-pop-up will appear. Let us know what you think about our improvements, we love getting feedback!